If you are interested in knowing what’s going on the deep web currently, then dark web blogs are perfect resources for you. Bloggers always update their blogs with current news. Thus, by visiting any best dark web blog, you can get full information about current activity on the deep web or dark web. Even if you are interested in writing about deep web, and looking some blogs where you can get publish your content. Then you are going to love below collection of dark web blogs. Warning: Privacy is major concern while accessing dark web. So always create an extra layer of encryption and anonymity for safe and untraceable browsing. If you are new to dark web then read first how to access dark web safely. And follow below tips for creating untraceable environment. Make sure, all programs are closed in your PC. 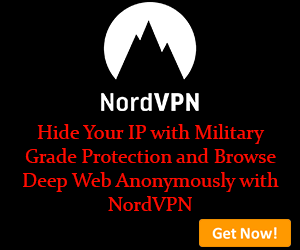 Start Your NordVPN and connect with Onion Over VPN Server. And now run Tor Browser disabling java script. Note: I am only sharing this info for education purpose. I am not saying you to visit these blog dark web links. For your any damage or harm, I am not responsible. it’s your own risk and responsibility. Now all is done, you are ready to browse deep web blogs. Wikileaks is next popular name in the list of dark web links for blogs. I think you already heard about this. If you want to know about latest leaks, fraud and politics related information, and then you can visit this dark web link. And all latest info from Cryptomeorg is available here. The Hack Lair covers hacking tutorials. Tutorials are short and point to point. If you are looking for a blog where you can learn hacking stuff, then you can bookmark this dark web blog link. This deep web blog is dedicated to Dragon related stuff. Here you will find amazing dragon images and some other useful stuff about Dragons. If these stuff interest you, you can visit this blog and read lots of information related to Dragon. This blog is dedicated to technology and gadgets. Mostly covered category are Android, iPhone, LifeCycle, Linux, Mobile-Devices, Windows 7 & 8, Ohrenschmalz and many more. The Tin Hat is dedicated to online privacy. If you are the person whom major concern is online privacy, this deep web blog is for you. They have covered many tutorials and articles. Major categories they cover are Add-Ons, The Cloud, Darknets, Messaging and other. This blog is in German language. If you understand German, then you can visit this blog to read about politics, government policies, and social stuff. They have covered 500+ posts at their blog. Here you will find information related to Anonymous Gateway. Most covered topics are testing environment, Privoxy, Deep web proxy, tor, iptables and more. This deep web blog covers lots of useful information and latest news on the Dark web. This blog updates daily. If you are looking for a great resource to know what’s going on the deep web, this blog is best choice for you. Here you will find some useful tutorials also like related to PGP and Tor. Crypto4You is dedicated to anonymity and privacy tutorials. If you want to enhance your knowledge regarding privacy and anonymity, then it is worth a visit. Here you can find tutorials about OpenSSL, PGP, Disc encryption, social networks etc. This blog is dedicated to PLESK network. If you want to know the latest info about PLESK, it can be the best place on the deep web. Security in a box is next name in the list of deep web links for blogs. It is dedicated to digital security tools and tactics. Additionally, here you can read tutorials about Linux, Windows, Mac, and Android. This onion website is available in 17 languages. If you are curious about safety, you must check this deep web blog once. This blog is dedicated to hacking tutorials and supports Spanish language only. Hence, if you understand Spanish, then you can visit this blog to learn about hacking. Resistencia Digital is all about surfing the web anonymously and securely. If you know Spanish language and looking for a good resource to learn about privacy then you can consider this deep web blog. This dark web blog centers on Surveillance & Self-Defense on the web. Like the above blog, here you can also find 100+ tutorials about anonymity and security. Supported language is Spanish. As the name suggests, this blog is dedicated to darknet market users. Here you can find info on how to find darkweb markets, shipping safety, electrum wallet tutorial, how to select a darknet market and vendor, private communication tutorials etc. Teran McKinney is the person behind Go Beyond. He updates his blog regularly. And covered lots of helpful topics in past. Here you can read some interesting generals. This dark web blog is updated regularly. Here you can get info about CryptoNote currency. CryptoNote technology is developed by a group of mathematicians, cryptographers, and programmers. This dark web blog covers a story about Mike Tigas. Not much stuff here. This is published on March 2016. If you want to read interesting story about dark web, then you can visit this dark web blog link. This blog has covered lots of topic here. This blog language is not English. You can browse link if you understand supported language of blog. You can write to me if you understand what they cover at their blog. I will happy to update here for my readers. Here you can get info about largest hacking events in Canda, Hackfest. If you are interested to join this event, you can visit this website to get the details. Here you can get deep web links. But this blog is not updated November 2016. So I will recommend you to visit http://deepweb2teloq5cl.onion/ to get working deep web/dark web links for all purpose. Onion Soup is next option for blogs dark web links. They publish interesting stuff here. Most of times, they post from other source but always mention source link so you can visit source link if you find info interesting. The main goal of this deep web blog is to promote knowledge sharing and freedom of speech. They have shared articles at various topics in past. But they didn’t update blog from a very long time now. Here you can find thousands pdf and research papers related to chemistry, cannabis, pharmacology, Rhodium and more. Files are stored in FTP based directory. If you want to learn about hacking, then you can visit this blog. Here you will find good tutorials and articles about hacking. SoylentNews covers many categories. Few of them are Business, Career & Education, Code, Digital Liberty, Hardware, News, Plotics, Security, Science and more. This deep blog link updates content daily. It is a go to destination for all to get update about anything. We Fight Censorship blog is main goal to publish Censorship and banned content. They post content including articles, sites, photos, videos and sound files in original language including Chinese, Arabic, Russian and Spanish and in translated version also (English & French). To know more about this dark web blog, visit mention link. This dark web link gives you a facility to spread your ideas anonymously. If you are looking for a distraction free writing and blogging platform, then you can consider this deep web link from the list of dark web links. This deep web blog covers science stuff. It is the part of THE GLOBAL SCIENCE GALLERY NETWORK. If you want to read science-related research paper, exhibitions information and latest news about science, you can visit the onion link. This blog supports Russian language. Here you can find articles about server administration, computer security, programming languages and more. If you understand Russian and such type stuff interest you, you can visit this link. This blog is for them who understand Catalan language. It is updated regularly. Here you can read about Cryptic Tor Hidden Service, Presentation of the association, Cryptic Wiki, Slides and many other useful articles. DarkWebNews is really good blog where admin covers latest dark web news and all useful related darknet resources on anonymity, deep web, Bitcoin, etc. This dark web blog is in Italian language. If you understand in Italian language, then you can visit this link to read about social and political issues. Simon Ramsay blog is dedicated to technology. Here you can read lots of tutorials about technology like how to setup pass on Windows, Dropbox hack on Headless ARM Linux, Easy ECS login etc. Here you can read an article about Surface vs Tor. This blog is not written in English language. You can visit this website if you want to read admin view about Surface vs Tor. This deep web blog is dedicated to Internet Privacy. Here you can read lots of tutorials on Internet privacy to access the internet safely and security tips, internet privacy tools and many other privacy-related topics here. Here you can buy carding and hacking tutorials. They have some hacking software also listed there. If you want to know which carding tutorials they are offering, you can visit given onion link. All products are listed at homepage with price information. TheYosh.nl is a personal blog. Here admin shares his technical interests. Major projects of Admin are Dreambox ReStream, Dreambox Ziggo Channels, LED table, Stream2Dream Linux, Free LiveCounter, Jolla Apps, Terrarium automation and others. If these topics interest you then you can visit blog onion link. Here you can get PDFs related to sexual freedom or violence and some audio files also. You can get all these stuff in free from this tor website. http://74ypjqjwf6oejmax.onion/ – Blogs – BeneathVT: This Dark web blog provide information about Virginia Tech’s Steam Tunnels and Beyond, This site have some navigation menu which provide information related to Virginia buildings, tunnels, map, trip logos, links and etc. http://76qugh5bey5gum7l.onion/ – Blogs – Deep Web Radio: This dark web blog offer information about deep web radio station, and available information in form of Steam Title, Stream Description, Contant Type, Bitrate, Current Listener, Peak listener, Stream URL, current play songs. http://7hk64iz2vn2ewi7h.onion/ – Blogs – Blog About Stories: do you love stories and looking any great dark web sites which offer some interesting spanking stories then visit this site and enjoy some interesting stories. http://tigas3l7uusztiqu.onion/ – Blogs – Mike Tigas: This dark web blog admin name is Mile Tigas, and he manages here some latest news related to dark web, photography, hacking. http://mpf3i4k43xc2usxj.onion/ – Blogs – SamWhited.com: if you checked this site then here you can find great collection of poems, rants and other peculiar things, hope these site will beneficial for you. http://4fvfamdpoulu2nms.onion/ – Blogs – Lucky Eddie’s Home: this dark web blog offers some great service like batch up file uploader, chat script. If you want to setup your own webchat then you can visit this dark web sites. http://torvps7kzis5ujfz.onion/index.php/TorVPS – Blogs – TorVPS: this site also offer hosting service, if like this site service and want to hire his service then you can visit torvps dark web sites hosting. http://shadow7jnzxjkvpz.onion/ – Blogs –ShadowLife: this dark web blog offer some latest updated news, but I checked some published post and last updated date is November 7th, 2014.
http://apkx44pmf7fyd63e.onion/– Blogs – apk.li: Self hosted personal blog but when I visited this site the showing underconstruction. http://torsniffrqvvkv4x.onion/ – News/Blogs – TorSniffr: do you have any the dark web url which status you want to know then site dark web sites can tell you. Here you only need site address and paste into blank text field and and press check page then holla all done. http://dbshmc5frbchaum2.onion/ – Blogs –erehwon.dev.null: this is the blog for find latest news about privacy, freedom, and independence, and all available tutorials have very comparihave guidelines start to end point. http://hokioisec7agisc4.onion/– Blogs – Hokioi Security: This deep web site offer the information about Global leaks and SecureDrop. Both are open source application. If you want to know about both application then this website can help you. http://freepress3xxs3hk.onion/– Blogs– Freedom of press foundation: This blog is offer information about gernalism, means here you can find right tools how you can make ommunication more strong and lot more things. At this Deep Web blog, you can get deep web links for all categories like drugs, weapons, hacking, carding service etc and many other useful tutorials to access the deep web safely and buying Bitcoins.